At the end of the 19th century, particularly elaborate shaving knives were sold from the Boker manufactory under the Boker Elite label. We now continue this tradition with our latest model of shaving knives. The blade grind is particularly unusual, giving the knife exceptional dynamics. 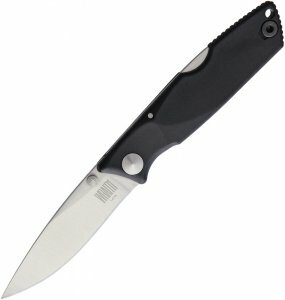 The carbon-steel blade (very good edge-holding, not stainless) is very attractive due to the combination of the extra-fine hollow grind with two false edges on the spine. The grip scales are milled with CNC technology from a solid billet of high-tech carbon material. 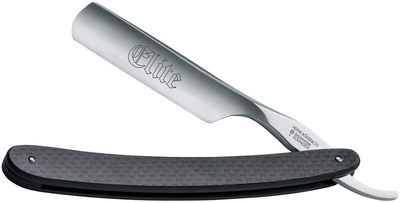 This gives the knife additional strength, ensuring silky-smooth blade control. The exceptional shaving knife is fabricated in 140 processing steps by the Boker knife manufactory in Solingen. Shipped in historical packaging with custom serial number and certificate of authenticity. If not in stock, please, feel free to contact us and we will be happy to order it for you. Cheers.